Border Engineering Ltd was established by Bob Gerrard in 1987 principally to provide prototype and production components for lorries and heavy vehicles. 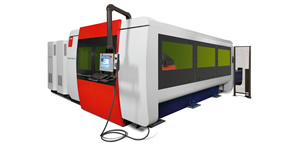 The company has developed a solid reputation for the provision of prototype services combined with production work. Working closely with our customers we can assist in the development of components specific to requirements undertaking multiple revisions and ensuring best manufacturing practice for scaling up production activity. We have also developed a degree of expertise in the manufacture and fabrication of specialist conversions for vehicles such as Landrovers and Vauxhall cars. These conversions range from the installation of specialist electronics racking for radio vehicles though to secure custodial compartments for the prison service. Border Engineering is a progressive company and through a program of continued investment and development we aim to improve our service both to existing customers as well as providing an outstanding service for new customers. 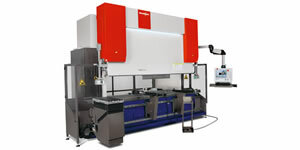 In 2015 we aquired an Xpert 100 Pressbrake which is currently the fastest brakepress on the market. This follows investments across 2013/4 in a Bysprint 2kw fiber CNC laser cutter, an Xpert 100 press brake and an NC tube bender. 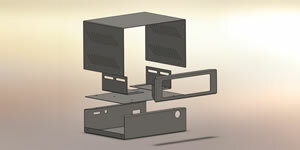 To meet the demand for 3D drawings we have invested in several modern drawing systems to support the use of integrated design and manufacturing files such as Solid Model, Pro-Engineer and Catia drawings allowing direct to the machine manufacture and significantly reducing production set up times and increasing quality. To improve our production management workflow and performance we recently invested in the installation of a leading edge MRP system, Sage Line 50 Manufacturing which helps us to support our lean manufacturing objectives as well as increase efficiency and reduce costs. We are currently aiming to upgrade to the latest 2013 software package.